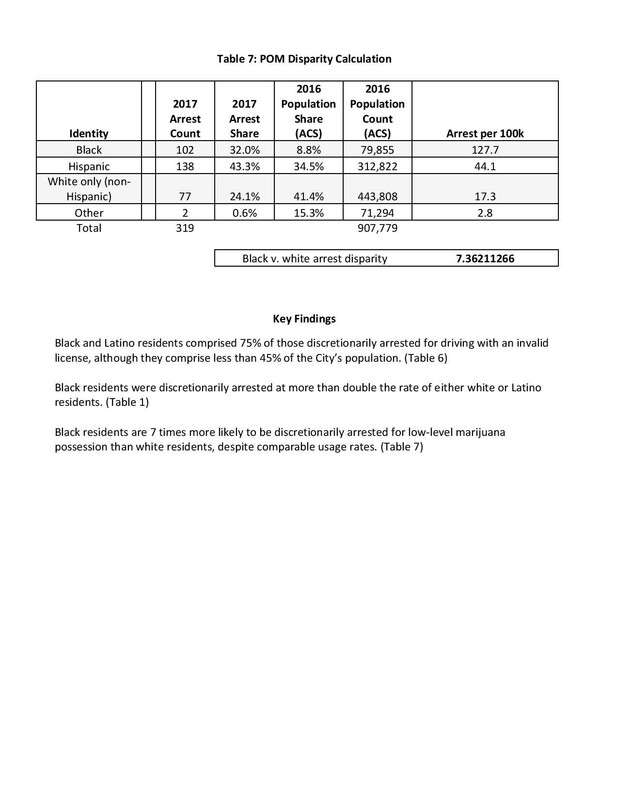 Discretionary arrests by Austin Police are heavily skewed by race. Here’s how. 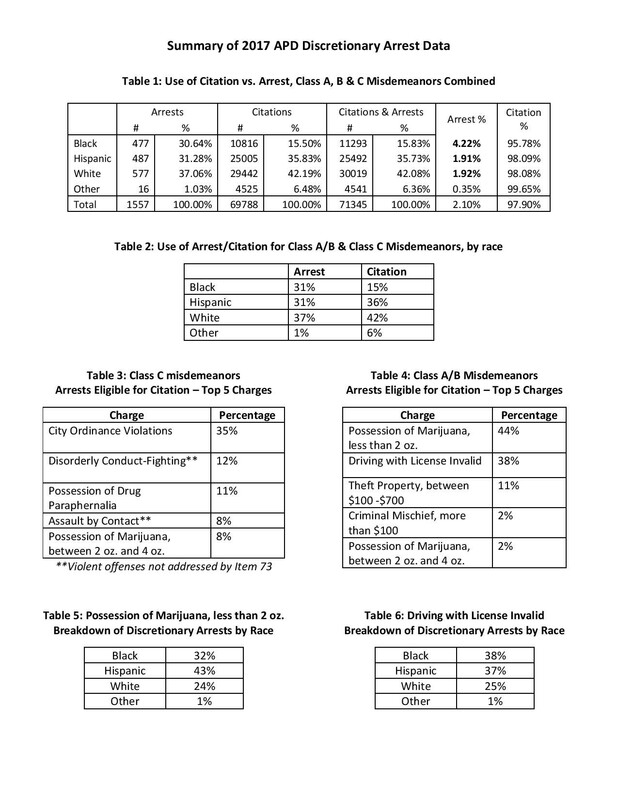 The Austin Police Department provided the data that is summarized above. The department removed from the data sets anyone who they found had an arrest warrant, who was intoxicated, or who had a higher charge. Therefore, the data above attempts to include only those who were arrested by officer discretion.